We are offering well stitched Base Ball Net. Our Premier Industries is incorporated in the year 2009. We are engaged in manufacturing, exporting and wholesaling a wide range of nets to our clients. Products offered by us are highly appreciated in the national as well as international souk. We have created a well-built grip in the market for its varied range of products. 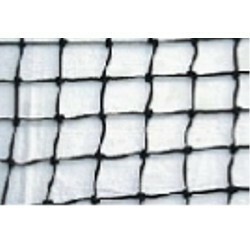 Our range of products include PE Twisted Nets, Braided Nylon Nets, Braided Nylon Hexagon Net, Goal Net, Ball Carry Nets, Foot Ball Carry Nets, Designer Carry Net, Carry Net, Volley Ball Nets, Black PE Twisted Volley Ball Net, White Volley Ball Nets, Water Polo Nets, Hand Ball Nets, Basket Ball Nets, Net Ball Net, Maroon Badminton Nets, Badminton Nets, Hockey Goal Nets, Lawn Tennis Nets, Base Ball Nets, Cricket Practice Nets, Discus Throwing Net, Hammer Throwing Nets and Nets Clips. These products are fabricated using finest grade material and innovative technology. Our products are acknowledged for their sturdy construction, convenient operation, easy maintenance and elongated service life. We ensure our products are procured from organizations.